For the record, I do not like to be scared. I don't watch horror movies (ever) and I'm not a fan of ghost stories told by the fire. Still. How can I help, when walking around in a primeval forest, but feel just a little bit of that dark mystery? Even with my skittish ways, that forest has got me in the mood for just the tiniest bit of eerie. So, as a nod to that feeling I brought home with me, this week's reads are all inspired by the forest. Not the trunks and leaves and branches of the forest. Rather, these stories all tell the tales of the unearthly in the forest. But, don't worry. You have a nervous guide. None of them are downright scary, even when their subject is fairly sinister. I always struggle to choose just three books each week. But, this week I gave myself a little more license. There are just too many books that take their cue from the dark of the forest. So, this week, I'll offer two sets of three, for the little set and the older ones. The Russian influence is still felt heavily in Białowieża, and with the forest surrounding us on each side, it was impossible not to think of Baba Yaga. This Russian folktale is part Hansel and Gretel, part Cinderella, and all magic. I love this version of it, as the illustrations are just as stunning as the story. 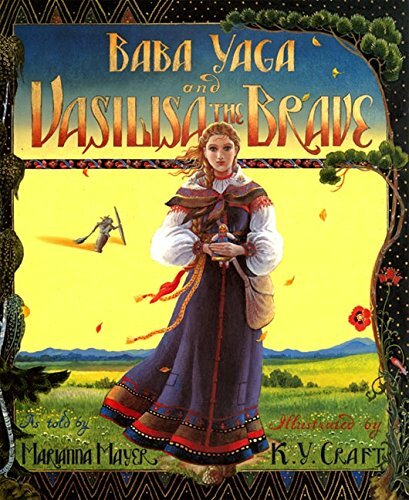 I thought of this story often as we walked the paths through the forest, imagining a frightened Vasilisa stepping into the same paths. 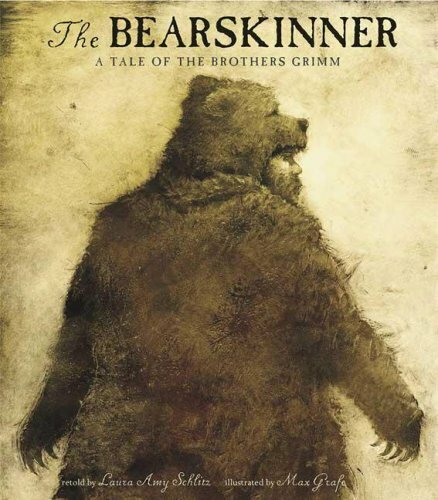 This haunting retelling of the Brothers Grimm's tale of the Bearskinner is superbly at home in these dark forest paths as well. It is a gorgeous story of humanity in the face of evil and kindness in the face of cruelty. It is about how we save ourselves and how we save one another (spoiler: they're intertwined). It is a beautiful tale, told wonderfully and painted exquisitely. On a lighter, but still exciting note is Heckedy Peg. 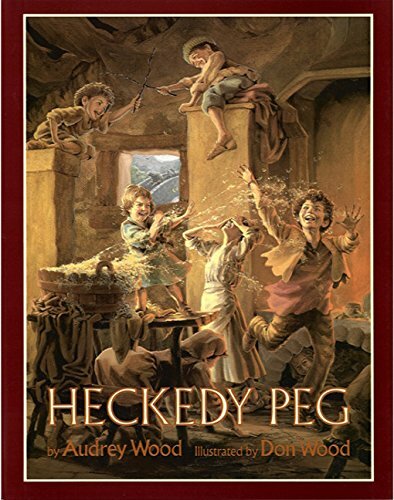 I love everything Audrey and Don Wood collaborate on, and Hecekedy Peg is no exception. Besides, what's not to adore about a story of a witch outsmarted by a mother's love? One of my favorite things about the story? The fact that Audrey posed for the mother and that Don posed for the witch (don't miss the pictures here). 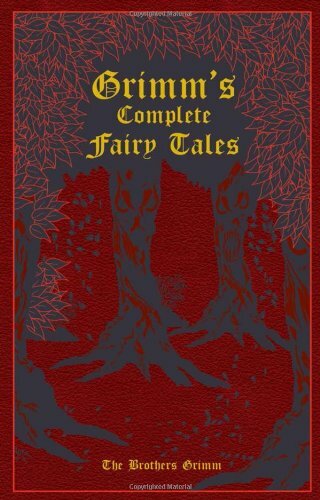 Where else can I start, when talking about tales of the dark things in the Woods than with the Brothers Grimm? Yes. These are the stories at the basis for so many tales we love. But, they are important for more than just their legacy. These are the tales that folks told to explain the dark things in the woods. They're gritty, yes, because so was their life and their experience with the wild where they lived. Even if they had never been the seed for another telling ever, they are worth reading for that reason alone. A note on editions: These stories have been published in innumerable ways over the 200 years since they appeared. Among them, I'm sure, there are many beautiful and faithful renderings. Also, among them there are a myriad of white washed, partial and truncated versions. These latter were what I was most interested in avoiding. I can recommend this edition, because it's the one we own. I can vouch that it is sturdy, beautiful and complete. In some ways, I hesitate to recommend this one. It is the first in a series that's not yet complete, and probably won't be for some time. I hate to get you hooked on a story that isn't finished. 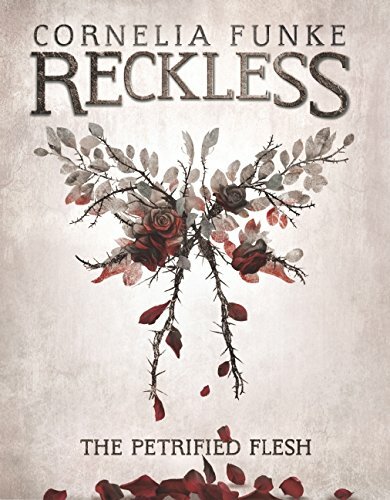 Also, this is one of those books that was just so-so for me when I read it. But, then, it lingered. And, lingered. When the second book appeared, I read it from the library, not wanting to commit to buying it, even though we already owned the first. But, I was completely drawn in by this second book (Living Shadows). It has one of the most chilling villains I've encountered in fiction (promise--not too scary, but definitely unforgettable). Taking its cue from so many of the tales the Grimms collected, this book is set in a world patterned after Germany, toward the end of the Grimms' lives. They would have found it all fairly familiar, as if they had stepped straight into the world of the folktales they wrote down. With lots of things both malevolent and benign lurking in the forest, this is a fun series. 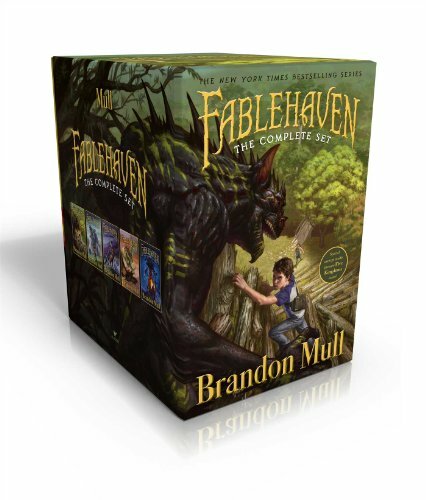 Speaking of fun series, Fablehaven promises a whole forest full of mystery. Yes, it's based on the familiar "two teens get pulled into a magical world they didn't know existed, but must now save" trope. But, it has a host of interesting characters and is a great one to pull out when you're looking for a fun escape into a magical forest. It's also a good one for a family read aloud.